The Trump Administration launched a new plan Thursday to bring federal rulemaking under more direct White House control, where all proposed rules — including those from independent agencies such as the SEC, which historically have had more rulemaking freedom — will be subject to review from White House officials. The Office of Management and Budget published a memo for all federal agencies telling them that starting May 11, the agencies must submit all proposed rules and regulatory guidance to the Office of Information and Regulatory Affairs (OIRA), where OIRA bureaucrats will determine whether the proposed rule is “major” or “minor” according to standards laid out in the Congressional Review Act. If the proposed rule is major, it can’t go into effect until Congress has 60 legislative days to vote on whether or not to allow the rule. If Congress votes down the rule, the agency can’t devise a replacement rule ever, unless a new law enacted by Congress after the rule was shot down directs the agency to do so. The Congressional Review Act has been on the books since 1996, so Congress has had this power for more than 20 years. But many federal agencies didn’t submit their proposed rules for OIRA review or congressional approval; they just went through the process of publishing draft rules for public comment and then adoption of a final rule. From 1996 until 2017, Congress almost never used its powers under the Congressional Review Act to shoot down a rule. When the Trump Administration arrived two years ago, Republicans did make a show of saying they would use the CRA more often, and they did overturn 10 or 15 rules. Then momentum just kinda petered out. The memo from OMB is clearly intended to use the Congressional Review Act’s language as a club so the White House can to beat up independent agencies and control their rulemaking. Here’s why: remember President Trump’s 2-for-1 regulatory kill order back in 2017, where he ordered all federal agencies to propose repealing two rules for any new rule they want to adopt? Independent agencies were never subject to that order. By law, they can’t be. Only federal departments (Labor, Defense, Justice, and so forth) were subject to Trump’s rule, and even they had more exemptions than you could count. Independent agencies, however, are subject to the Congressional Review Act. So this memo cooked up by OMB is a way to let the White House insert itself into agency rulemaking more aggressively. The CRA applies to more than just notice-and-comment rules; it also encompasses a wide range of other regulatory actions, including, inter alia, guidance documents, general statements of policy, and interpretive rules. What does that mean, exactly? One could imagine OMB arguing that the FCPA Resource Guide published by the Justice Department and Securities & Exchange Commission in 2012 qualifies as a guidance document, therefore subject to OIRA and congressional review. Granted, this scheme may not work. An independent agency could simply ignore the White House directive. Theoretically President Trump could then fire the agency chairman, but typically an agency chair can only be removed for cause. Whether ignoring this memo would suffice — it’s not law, after all; just a White House memo — is unclear. “significant adverse effects” on competition, employment, investment, productivity, innovation, or on the ability of United States-based enterprises to compete with foreign-based enterprises in domestic and export markets. The memo says OIRA will work with agencies to identify classes of rules that would be presumptively not major, and exempt from the process. So that might exempt statements such as Compliance Disclosure & Interpretation updates or no-action letters from the SEC — but don’t bank on that until you see it. As to SEC efforts such as revisiting the whistleblower awards program, or scaled back quarterly reporting, or exempting more companies from SOX 404(b) governance rules: they would all go under OIRA review. Sure, presumably the Trump Administration would favor deregulatory moves like that, but the process will be slower, by months at least. Relevant to FCPA enforcement, the Congressional Review Act exempts rules “relating to agency management or personnel.” That sounds like it exempts changes to the U.S. Attorneys Manual, which is how the Justice Department likes to update FCPA enforcement policy these days. Again, however — don’t take that as gospel until OIRA preaches it in another memo. Meanwhile, other regulatory concerns such as IRS guidance about taxes or Federal Reserve policy for banking — that’s all going under the Trump Administration microscope like we’ve never seen before. Compliance professionals should be very wary of what the Trump White House is trying to do here. In theory, restrained rulemaking is a reasonable idea — but time and again, we’ve seen this president and his sycophants in the White House playing with forces they’re too ignorant to use, bollixing up life for the rest of us. For example, compliance officers of a certain age can remember the summer of 2008, and the feverish, improvisational rulemaking banking regulators tried back then to stave off the financial crisis. You’d really want OIRA review in the middle of something like that? 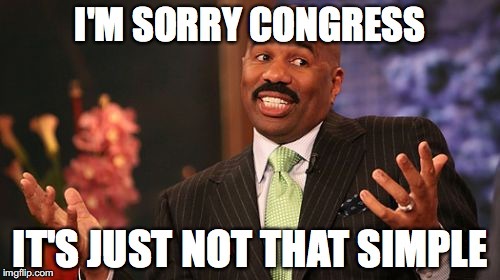 You’d want Congress slowing down the process with 60-day approval windows? In the real world, of course, if another crisis were to come along, you could bet your mortgage payment that the Trump Administration and Congress would grant some emergency stay of OIRA review, so regulators could move more quickly — and be left as the scapegoats, should the crisis explode anyway. But that’s precisely my point. If we want smart, effective regulation, then we should hire smart, effective regulators and let them to their jobs. The Congressional Review Act itself was the brainchild of Newt Gingrich. This latest OMB policy is another incarnation of the same sentiment: conservatives looking to score cheap points by talking up some “Administrative Deep State” looking to sell out the country, when the plain fact is that a large, complex, services-oriented economy requires regulation. So let’s just get it right the first time rather than second-guess ourselves into paralysis and impotence. Because that’s the direction this White House plan take us, and there are a dozen different ways to do it better.